You will notice that the "Sign In" screen has a background of a metal clipboard with blue-bar dot matrix paper. This is our tribute to the 'old days' of paper processes in the warehouse. No more will there be a constant need to print receiving documents, Loading Sheets and Pick Lists on paper, as the tablet will provide all this real time information. 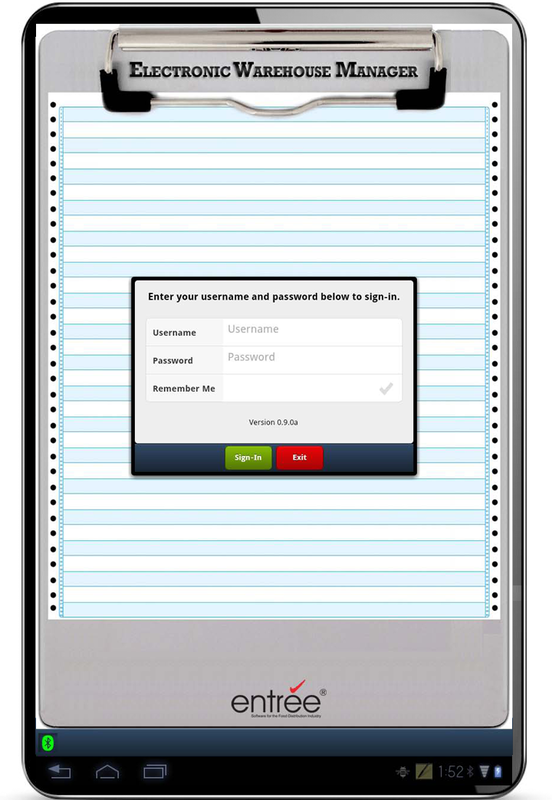 Each operator that uses the ELECTRONIC WAREHOUSE MANAGER must sign-in using their assigned Username and Password. This allows the application to track each user's activity, how long it takes to pick an order or receive a purchase order and other information related to productivity. It also identifies the user as a supervisor or not and knows what their assigned permissions are related to handling customer substitutions, etc. When using the Electronic Warehouse Manager, order picking and purchase order receiving processes are driven off the current date known in the application as the "Delivery Date". 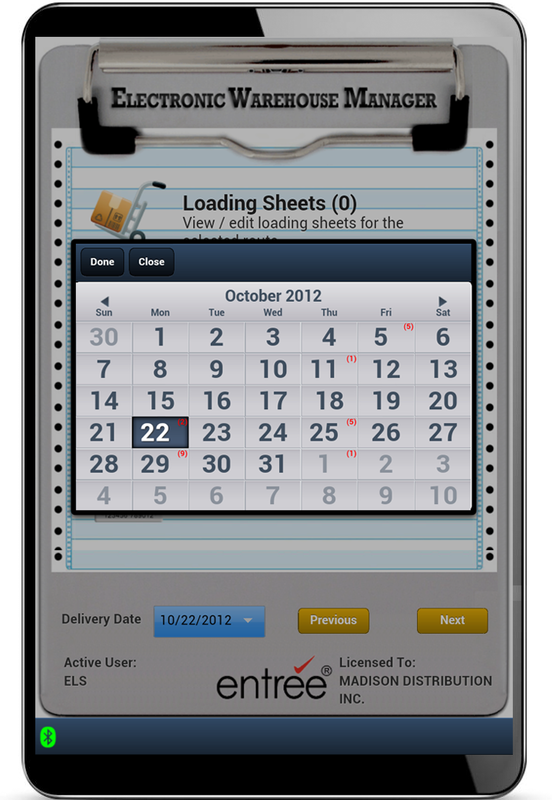 For example, orders which need to be picked will only be displayed and accessible if their delivery date (invoice date) matches the date selected on the tablet. Note that some dates will include a smaller number in red. This number indicates the number of open orders for that day which need to be picked. 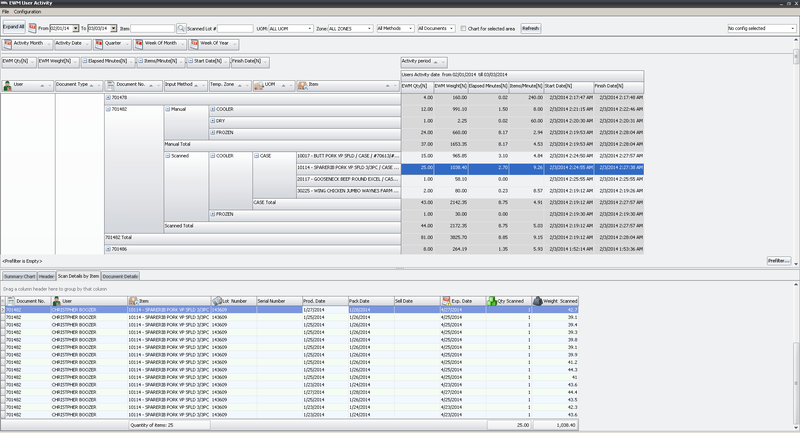 The Warehouse Manager Dashboard in the main entrée system is used to view the activity of your warehouse employees using the Electronic Warehouse Manager. The entrée system will track the detail of each users productivity, including every catch weight entered or scanned, every item picked, etc. This dashboard provides a means for you to monitor, report and help analyze and track their work. 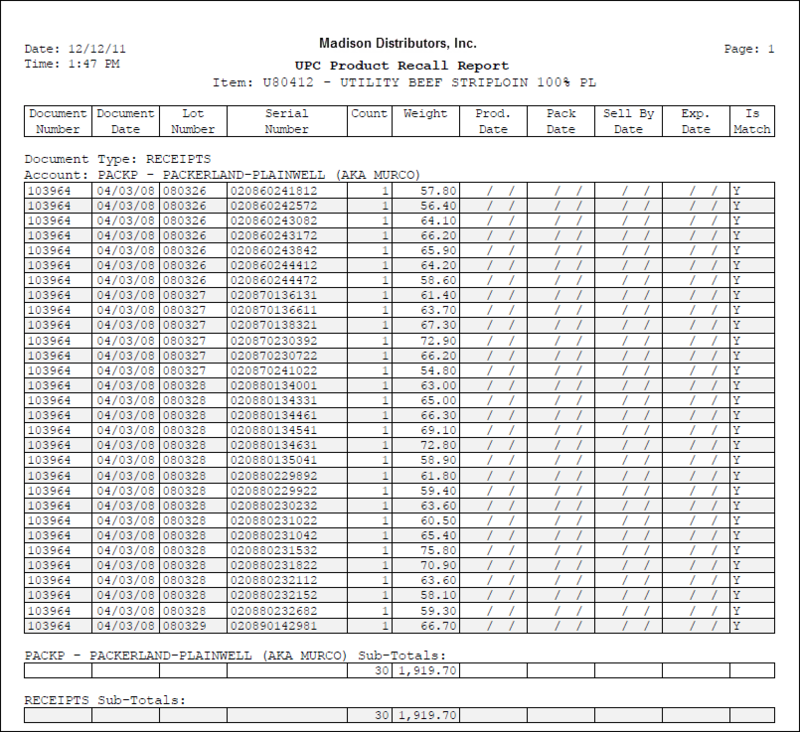 You will always know who picked a customer's order or received a purchase order, down to the detail of individual line items, substitutions and catch weights with date and time stamps for all activity. The User Progress Dashboards feature will quickly provide your warehouse users information about their progress when picking a customer's order or receiving a purchase order. The left side of the dashboard shows a progress gauge that indicates how many items of that process have been completed. The needle on the gauge and the count information written below will provide the exact status (ex: Picked 2 of 53). The right side of the dashboard shows a stacked bar chart, which indicates the completion progress for each Temperature Zone and Add-On items. The chart starts off as green lines, but as progress continues the lines start to turn red until that zone is completed. Unlike grocery chain retailers who have used standardized UPC codes since the 1970's, there has been no industry-standard bar code style used at the wholesale level for food distribution. However this is changing with the growing mass adaption of the GS1 barcode standard, now used by the majority of food manufactures. 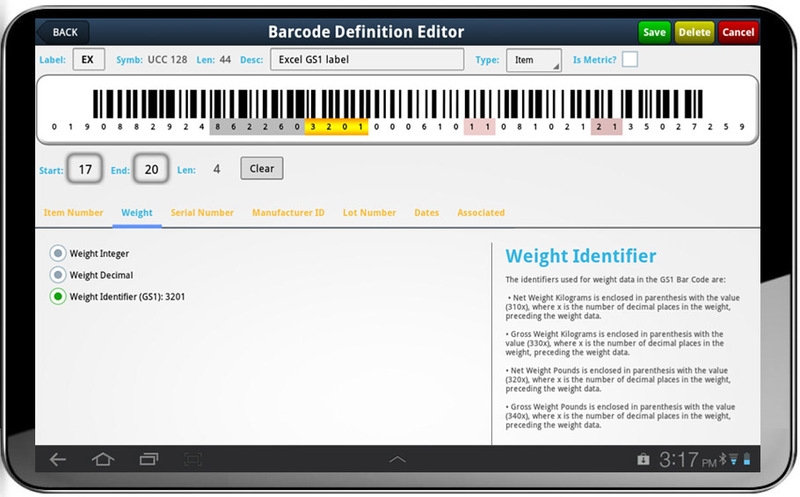 Still, because it is possible that each of your suppliers has their own particular variation of a bar code label and the goal of the Electronic Warehouse Manager is not to force you to re-label your entire inventory, we have developed the "Barcode Definition Editor". 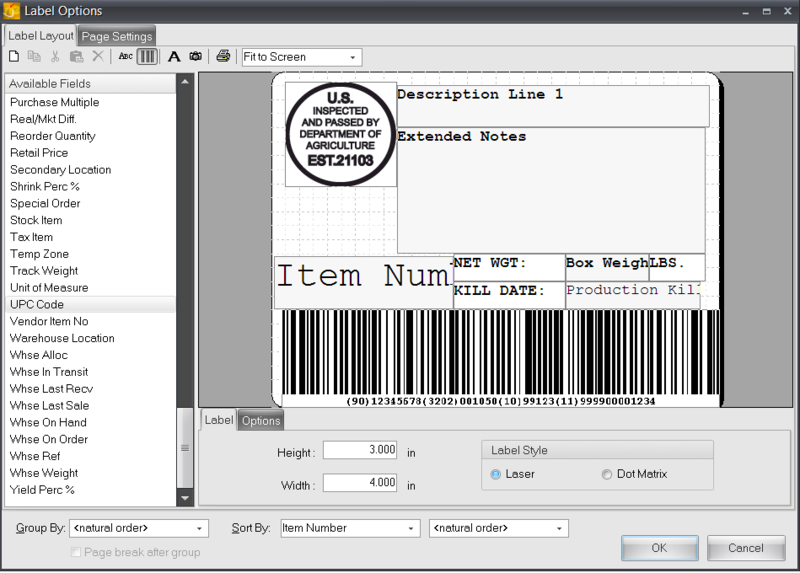 This allows you to easily deal with the many variants' of label styles between your suppliers. A "Barcode Definition" can be thought of as a fingerprint that describes a particular supplier's bar code label format. Here you define the string of data that is encoded on the label, such as item numbers, weight values, lot numbers, production dates, expiration dates, serial numbers, etc. and then tie that back to a specific item in your entrée inventory file. This feature will confirm that you have a bar code setup correctly or diagnose problems with your barcode definitions by capturing and translating the scanned data from a barcode label. 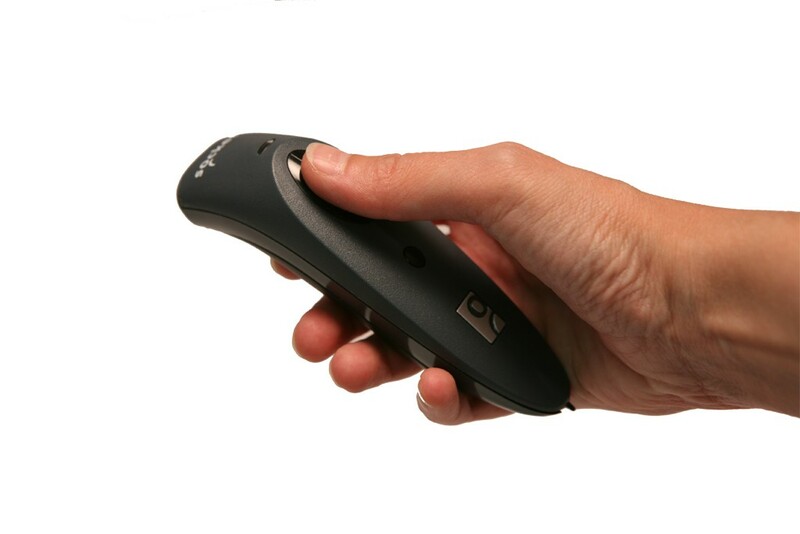 It is most often used once a Barcode Definition is established to check to ensure that all of that supplier's items scan properly. Simply select this option from the menu, and then begin scanning random items from that supplier. If the barcode cannot be linked to one of your entrée inventory items, an "Item Not Found" message will be displayed, along with all the details used by the Electronic Warehouse Manager to attempt to identify the item. Sometimes examining these details will expose why the scan failed. Food distributors who further process or manufacture items can take advantage of the Production Label feature of the Electronic Warehouse Manager. You can both design your own label format with entrée's barcode label designer and print these labels in your production room. You can mount a tablet running the Electronic Warehouse Manager near a Bluetooth enabled scale and a thermal barcode printer and generate labels on demand as inventory is processed. The system can automatically assign Lot Numbers and other key information to meet your labeling requirements. The Bioterrorism Act of 2002 and the Food Safety Modernization Act (FSMA), signed into law in 2011, is having and will continue to have an impact on the global food supply chain. Distributors must be prepared to meet the new regulations or face large fines and possibly closure. These laws give the Food and Drug Administration unprecedented new powers of enforcement, inspection, and forced recall. Because of this, it was especially important that we include lot tracking features that will keep our customers in adherence to this new law and the freedom of mind that they are fully prepared in case of a product recall. 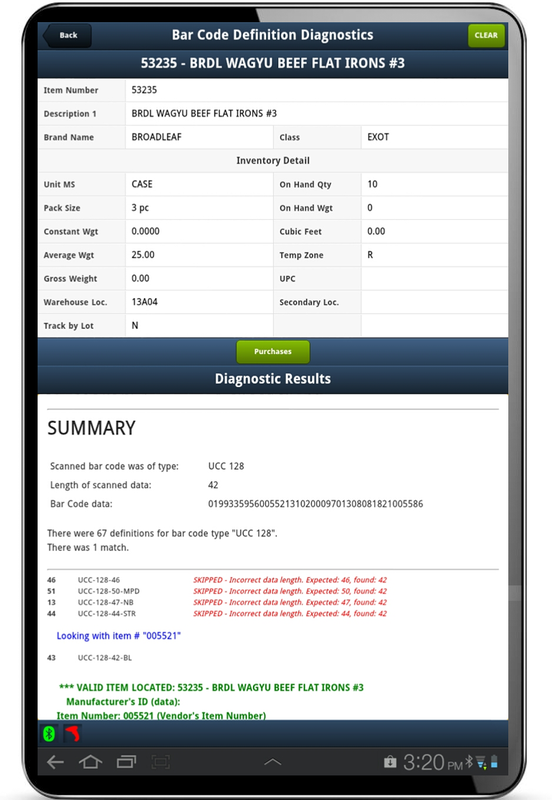 The Electronic Warehouse Manager will make you fully compliant by using the Lot Number (or Production Date) encoded in the manufacturer's barcode label, without the need for you to enable "Lot Tracking" in your entrée software. To put it simply, when inventory is received, the scanned lot number in the label is recorded (along with all other key information). 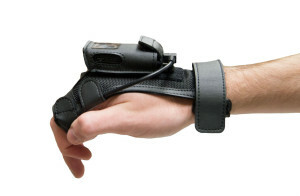 When the product is sold, the lot number in the scanned label is recorded, including all details including the customer that purchased the item. To bring this ability together, whenever a product recall is issued by the FDA, you can quickly determine what customers were provided inventory from the recalled lot's via the Product Recall Report.